In the aftermath of the shooting death of Michael Brown in Ferguson, Missouri, dozens of police departments all over the country have reaffirmed their intentions to begin deploying officer worn body cameras. In fact Los Angeles mayor Eric Garcetti, in December of 2014, committed to purchasing 7,000 body cams to outfit LAPD officers. But one issue that has yet to be adequately addressed is a lack of standardization with how to handle, store, and process all the footage that these cameras will record. 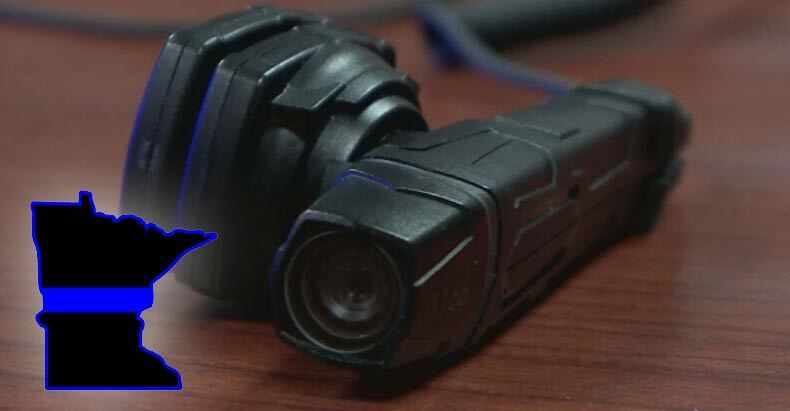 Three Congressman in St. Paul, Minnesota have offered a possible solution: they’ve proposed a bill to make police body cam footage private. With nearly 18,000 state and local law enforcement agencies in existence within the US, there are well over 1,000,000 sworn police officers nationwide. As the use of police body cams increase, so will the audio and video evidence. This will create billions of terabytes of video and audio evidence. Proponents of the Minnesota bill suggest that making the footage secret is for privacy reasons. It is not uncommon for the footage officers collect to be of a very personal nature as they often respond to peoples homes where all forms of disarray can be captured: from folks under the influence to half-naked kids running around the living room, officers have seen it all. The events an officer may witness, say sponsors of this bill, should remain private (especially when recorded in the homes of citizens). Representatives Tony Cornish, Brian Johnson, and Dan Schoen (Schoen is also an active police officer), are the authors of the bill. The three congressmen propose that only those recorded in the incident will have access to the footage. What’s more, the bill mandates that evidence that is not necessarily relevant to to a case be destroyed within 90 days; this will be regardless of whether or not the case remains open. Opponents of the bill, however, indicate that destroying the evidence will undermine the very need for the body cams in the first place. With events like the shooting of Michael Brown, many in the public have desired to see more police oversight, with the body cams being a first step in that direction. Yet, there may be an inability to give this oversight if the body cam footage is made private. However, the footage being used for public oversight may be only conceptual, at best. Right now, Minnesota state “data laws” presume that footage captured by police body cams is available to the public, but this is sometimes not the case. Occasionally when folks request footage from law enforcement, they are told the footage no longer exists, which may make it difficult for attorneys or the general public to retrieve copies of the footage. Despite legislation that is aimed at controlling the audio and video evidence, one thing is definitely clear: attorneys, law enforcement, and forensic experts all need to be prepared for the deluge of new evidence that will be available for their cases. Not only will it be crucial to know when and how to use this evidence, but they must also be aware that the laws governing the use and availability of this new evidence may affect their ability to gather or use it as well.